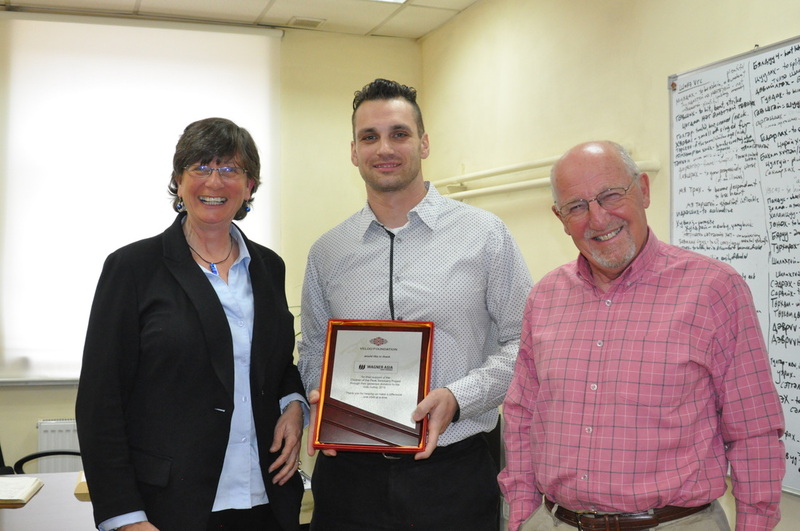 We were honoured recently to receive a few very prestigious awards for our ( and thus your!) work in Mongolia. 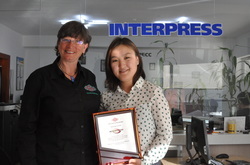 We were also very happy to recognize some of our own wonderful sponsors and thank them with a small token of our appreciation for all of their wonderful contributions which have made our progress in Mongolia possible. The phone rings..."Is this Julie Veloo?" 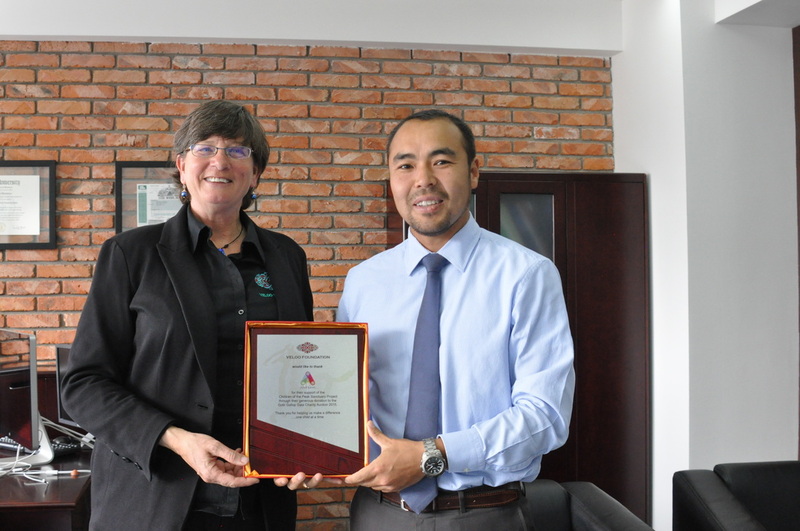 "Yes it is" "I would like to say Congratulations for your great service to Mongolia..." Weird start to an amazing phone call that let me know that the Mongolian National Chamber of Commerce had awarded me the prestigious Silk Road Award for Best Contributor in Bilateral Development by and individual or organization. I was completely shocked, stunned and honored. The award ceremony the following day was an elegant mix of colour, ceremony and joy and a tribute to the historic rituals of Tsagaan Sar. I was delighted to discover that another co-honoree was one of our Corporate Sponsors - Wagner Asia who were being recognized for their excellent Corporate Social Responsibility platform. I was honoured to be sharing the stage with ambassadors and banking leaders from Ulaanbaatar and most especially with a surprise visitor on the stage - one of our little scholarship students who, after I had received my medal rushed up with flowers, smiles and hugs to congratulate me. Beautiful. 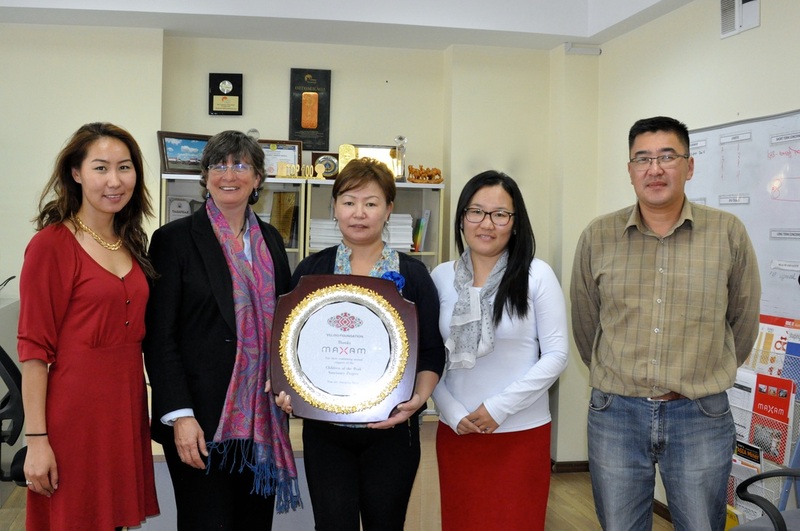 We were honoured this year to receive a special award in recognition of our work at the Narnii Huuhduud Project (Children of the Peak Sanctuary) from the Director of Songin Khairkhan District, Mr. Nyambaatar. who has been a great supporter of the project since its inception. Time to Give Out Some Awards of Our Own! This winter we also created a very special Wall of Heroes to honour those who go above and beyond the call of duty in raising funds on the Gobi Gallop. 2017's Galloper Honoree, Lissa Mott was a truly wonderful rider whose tranquility, determination and endurance was unmatched - as was her fund-raising. Lissa raised over $10,000 CAD for the Narnii Huuhduud Project (Children of the Peak Sanctuary). She is a shining example of the kind of amazing support we have had that has allowed us to do our work and make a difference, one child at a time. 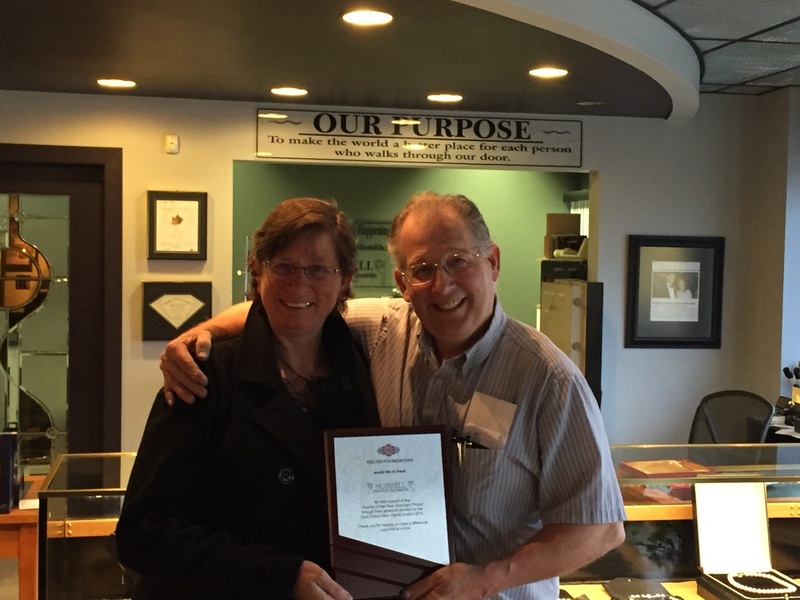 We were delighted last year to give a plaque of appreciation to our first and longest annual corporate sponsor - Maxam Explosives. It has been wonderful working with them and they are responsible for much of the good work that we have been able to do. Having a corporate partner who is so committed to excellent Corporate Social Responsibility that they find a way every year to make an ongoing contribution is very special. Thank you MAXAM EXPLOSIVES! GIVING OUT THANKS TO ALL OUR GOBI GALLOP GALA PARTNERS! 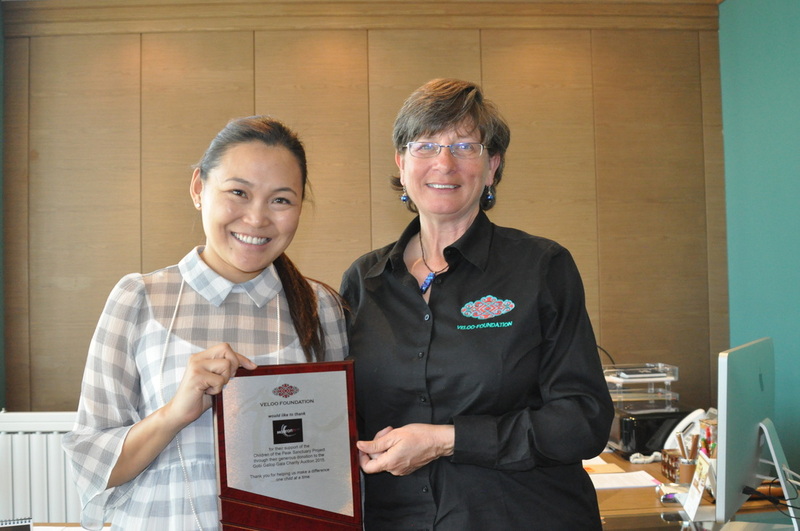 Last year's Gobi Gallop Gala garnered over $54,000 USD from ticket sales and the auction items. We'd like to take a moment to thank all of our wonderful sponsors who donated to the event and/or the auction. Their generosity and the heart and love of the people attending the Gala made it such a huge success and such a great fundraiser which has had a direct and dramatic impact on the children and families that we help. Thank you all! A big thank you to MobiCom for donating a wonderful IPhone for an auction item and for purchasing one of the other auction items up for bid. It was wonderful to see the beautiful painting by Zaya hanging in the corporate office of MobiCom and know that they get the chance to remember every day that they have made a difference in the lives of the children up at the Peak. 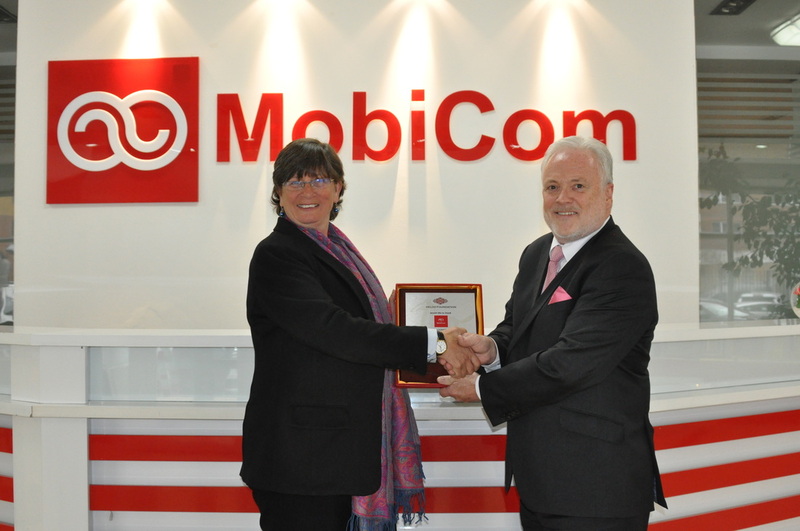 Thank you MobiCom for your wonderful generosity! Thank you Arig Bank for donating an eco-sofa to auction off ( afterwards training our people how to make them so we can recycle, get people off the dump AND provide them with employment) and for providing us with swipe machines ( and people to operate them!) to make the auction at the Gobi Gallop Gala seamless! 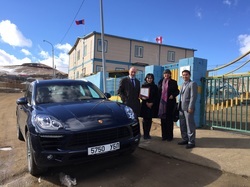 Very generously donated the use of a Ford 4 x 4 as a support vehicle for the Gobi Gallop AND their intrepid CEO Steve Potter (pictured right) put his hand up to come on this year's 2016 Gobi Gallop - In the Steps of the Khaan! Now that's what I call a commitment to helping! Very much appreciate all the support we have received from the whole team at Wagner Asia and am looking forward to many more productive and fun undertakings with them. 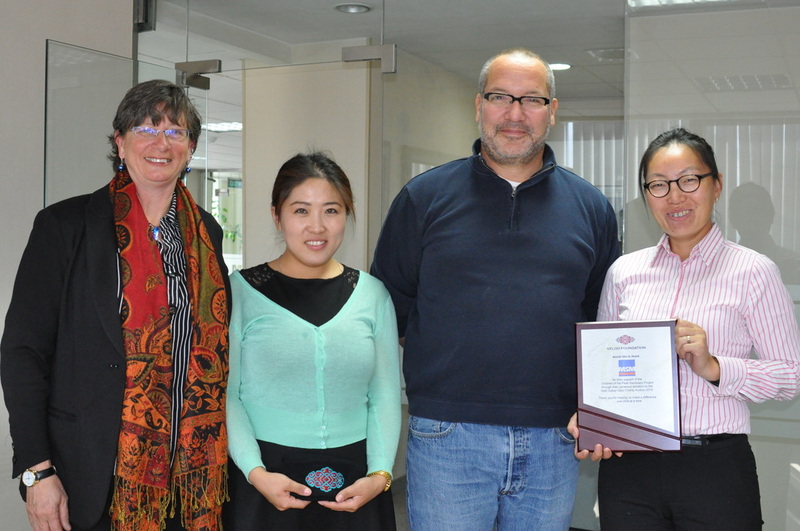 THANK YOU WAGNER ASIA! Thank You Interpress! Too often when you're a charity the hidden costs ( like printing!) really eat into your profits for any fund raiser you are trying to do. Thanks to the generosity of Interpress, we had NO PRINTING costs for our invitations, banners, backdrops, flyers, business cards. We can't thank you enough - so appreciated! has now donated two stunning pieces to auction off to help the children and those pieces combined have raised over $20,000 CAD for the children. Very much looking forward to seeing the piece he will be donating this year! !